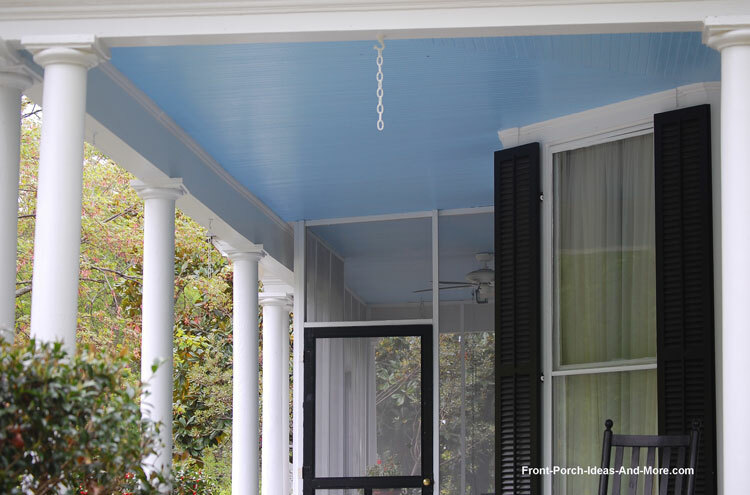 Haint blue porch paint has become the standard for porch ceilings. While some believe that blue wards off evil spirits others believe it helps banish mosquitos. 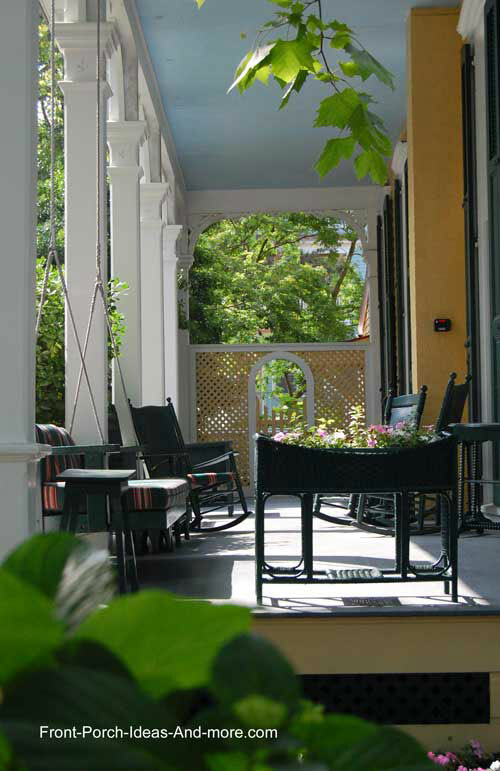 Still others believe a light blue porch ceiling reminds them of the sky or believe it has a very calming effect. But not just any blue will do. We are honored to feature Lori, creator of The Land of Color, who has done extensive research on haint blue. See specific haint blue colors, learn its history, and get the opportunity to purchase samples and acquire the specific formula so you too can have the perfect haint blue porch ceiling. 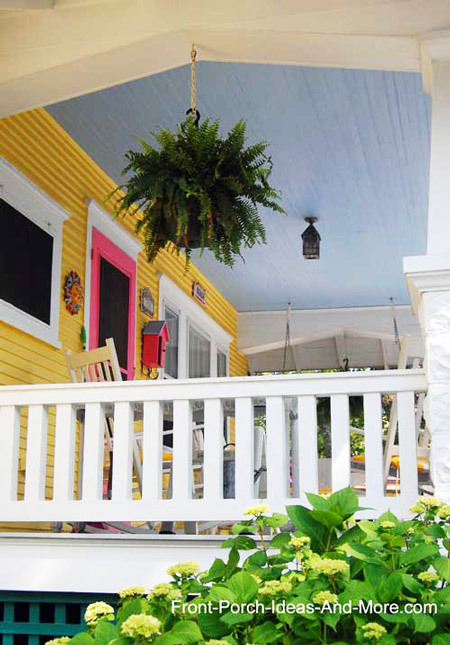 Haint blue porch paint, the preferred color for many porch lovers, has a rich history and colorful past. Lori believes Haint Blue is an amazing color which can be found on not only porch ceilings but also on doors, window shutters, and buildings all over the world. Haint blue is both a spiritual and cultural based color originating in the southern United States. It was created with milk paint mixed with lime and other local pigments when available in pits on the homeowner's property. Because it was created by hand, haint blue is actually a range of bluish-tone colors. 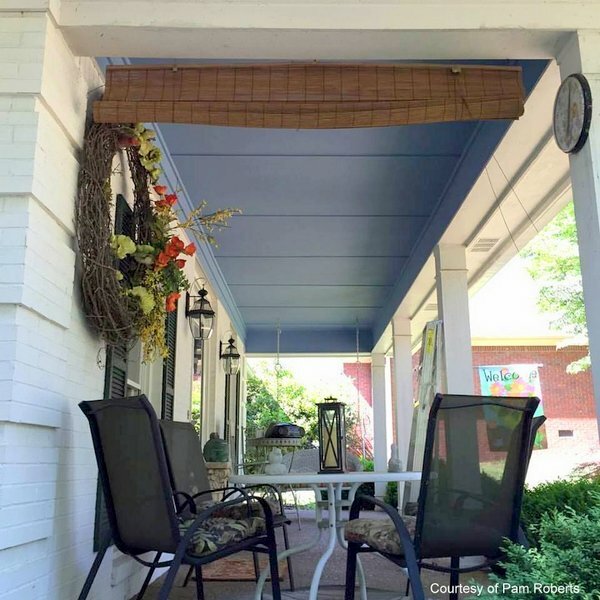 We like this shade of blue for a porch ceiling, too. 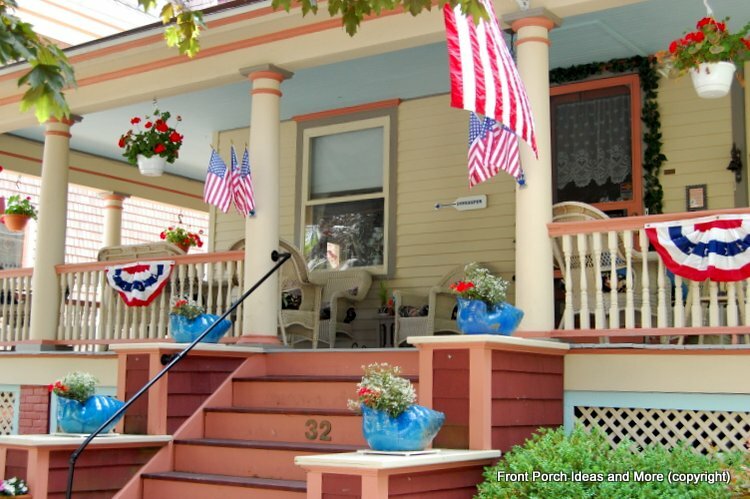 It's a little deeper but it surely boosts the charm of Pam's front porch. 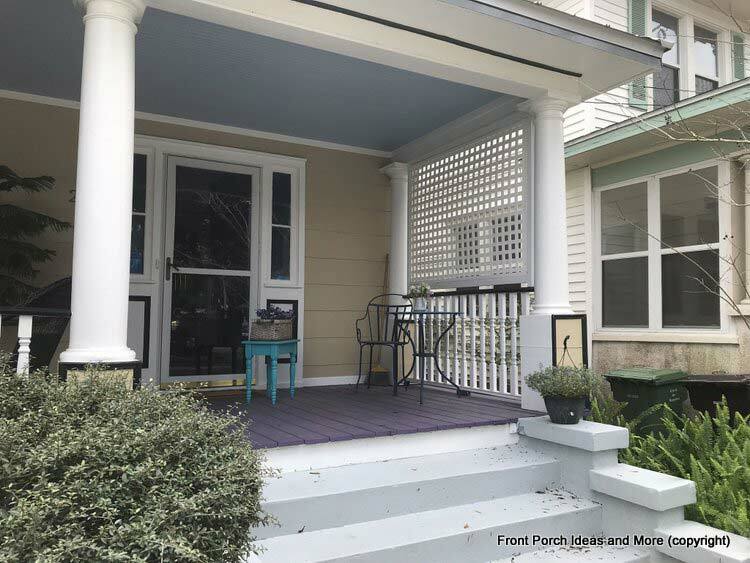 To get the authentic colors above, Lori used actual samples from original sources (such as the famous Prospect Place in Dresden,Ohio) and then used Benjamin Moore colorants mixed in MooreGard Exterior bases to re-create the actual colors. How authentic is that! Without authentic formulas, most paint stores and home improvement stores will only point you toward their blue paint selection charts. 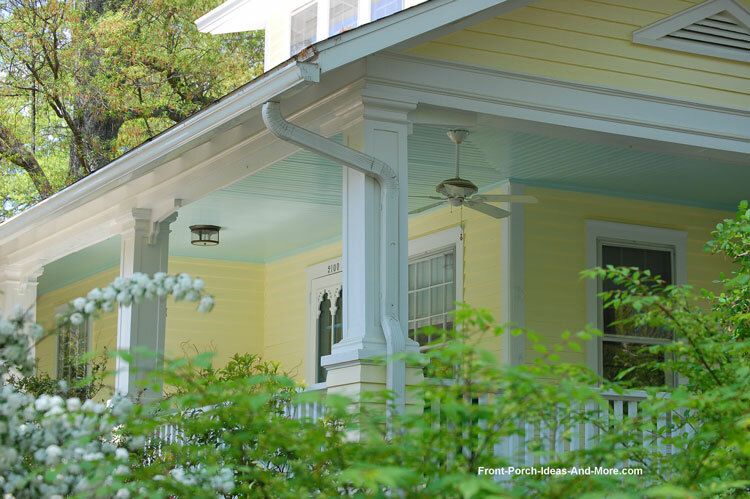 Although your porch ceiling might be blue, it may not be haint blue. 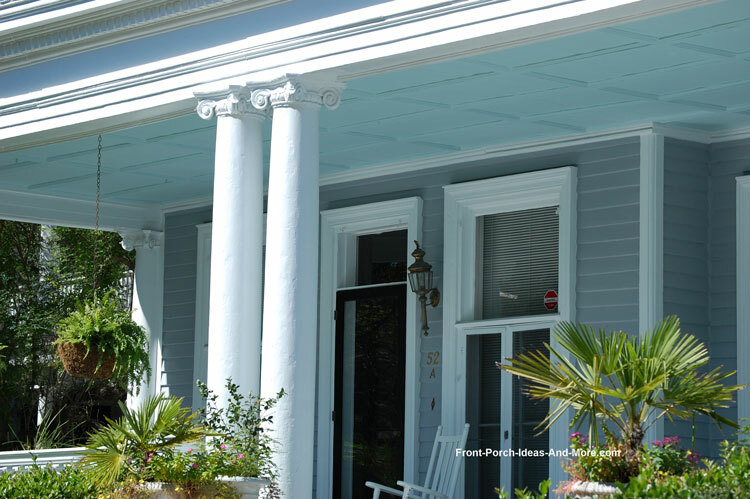 For authentic haint blue porch paint for ceilings we encourage you to get detailed descriptions and acquire both a sample and the formula (which you can have mixed at your local building supply store) directly from Lori. Our research indicates haint blue paint first appeared on slave quarters in the deep South. Their ancestors originated from Angola and were known as Gullah or Geechee. They maintained their heritage by practicing traditions and passing down their stories and beliefs, one of which was the belief in haints. Haints were spirits of the dead who had not passed on from the physical world. These were not Casper-type ghosts but rather the kind you'd rather not have around. They had; however, one thing in common. They could not cross over water. (As a side note, the belief in Haints was integral to Washington Irving's tale of the Headless Horseman in that evil spirits cannot cross water). Haint blue porch paint, because of its color range, looks like water and thus tricked Haints from entering their homes. Therefore, it was used on everything from shutters to painting the entire abode. We should also address that many believe haint blue inhibits mosquitos and other insects. Although not a proven fact it is believed the lime (an original formula ingredient) may have been known to ward off insects. 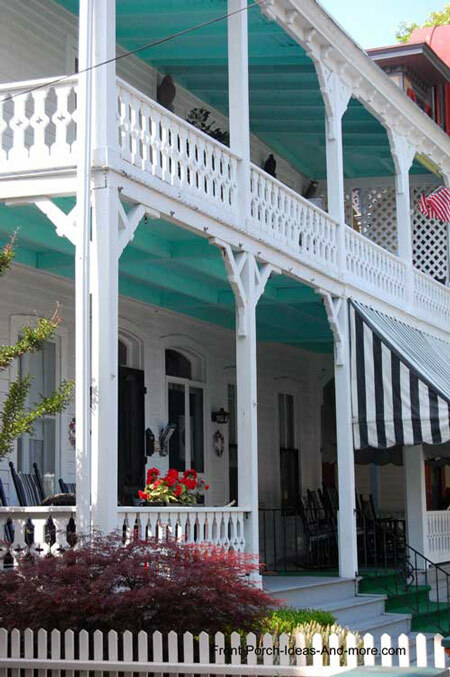 One of our all-time favorite porches ever - what a beauty! We really appreciate Lori allowing us to share her information about haint blue porch paint with all of us. We readily admit we are not "color" people. We know what we like when we see it but can't put colors together very well. That's why we believe a service like Lori's can not only help us, but you as well. 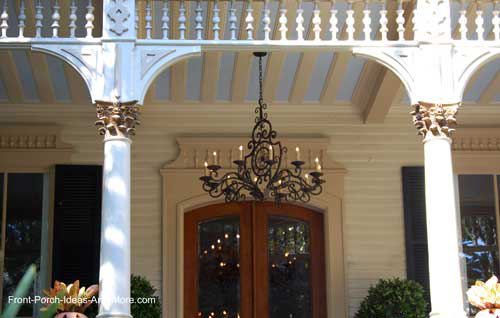 Oh, please listen to the podcast we did with Lori about exterior color concepts. Very helpful if you want to know what colors to put together. 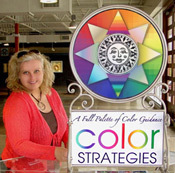 Lori Sawaya is a color expert and strategist, an integral member of the International Association of Color Consultants/Designers, and Proprietor of The Land of Color. Lori's goal is to create color schemes that include your color desires while simultaneously respecting your home or building's architecture. 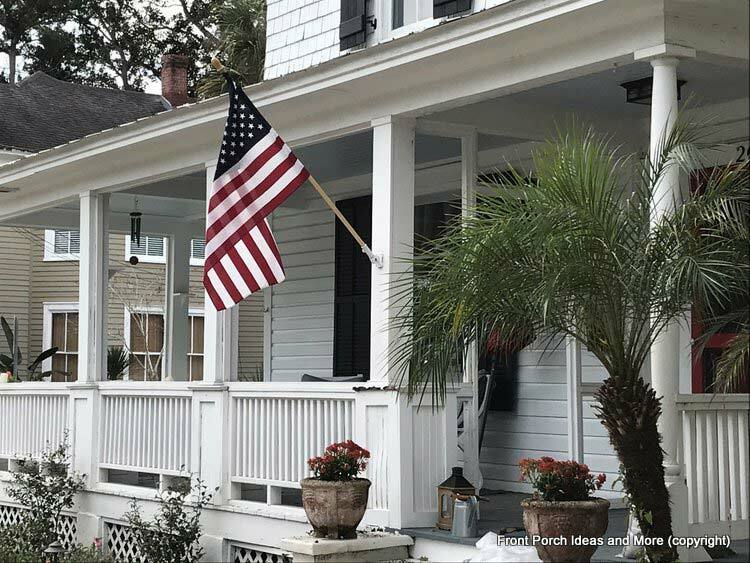 Lori's state-of-the-art Virtuals Plus Prints™ is an exclusive service and is a progressive and comprehensive way to preview exterior paint colors. 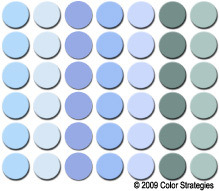 As a color expert, Lori knows the right color strategy is more than paint colors. It is about relationships to other colors and our individual response to color. Let her help you maximize the appeal of your home or business. We highly encourage you to visit Lori's The Land of Color today to learn more and acquire samples of her haint blue formulas! I would like to tell you why our Virtuals Plus Prints™ are best in class and how we're different from all the other design services you can choose from online or local. If you've ever tried to use one of the paint manufacturers paint programs or other color visualizer software, you already know that they don't show paint colors accurately. It's frustrating because it's only after you've spent time and effort to figure out how the programs work that you discover the colors look really strange. They appear totally random on your monitor and they don't look anything like the paint chips you brought home. If you try to print the digital photo that you painted virtually or e-mail it, the lack of color consistency is even more apparent. The concept of color virtualizers has good intentions but the reality of how color works makes them virtually useless to almost everyone – homeowner and the majority of design professionals too. We realize the value that color virtualizers are to clients to help them visualize color ideas and solutions we came up for them but no matter how well they work from monitor to monitor, there was still a disconnect. Something was missing in the translation. So we committed significant resources to find a solution. And we did. Ultimately there is no way to know for absolute certain how a paint color is going to look and feel once it's up, but we can take steps to comprehensively preview color. That is exactly what our new state-of-the-art capabilities do. Our prints accurately represent the paint colors we use to create customize design colors for you. We do everything that we can to make sure there are no surprises when the painters roll on the color. Confident color does come at a price but the investment is a fraction of the cost of what it costs to repaint your home because the color your chose without guidance wasn't what you wanted or where expecting. We are very passionate about helping you define your expectations and expert at defining what it is that you want color to do for you. Providing the best-in-class color services is our goal. This porch ceiling resembles the sky. It's stunning. 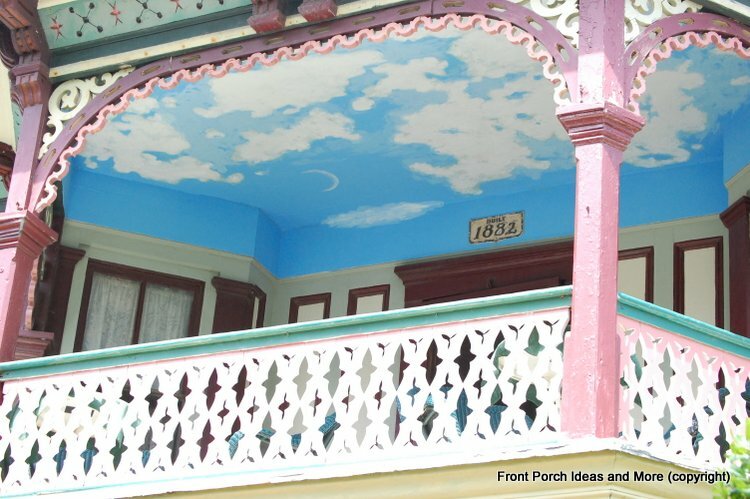 Blue porch ceilings go way back. This home is on the Belle Meade Plantation in Middle TN. 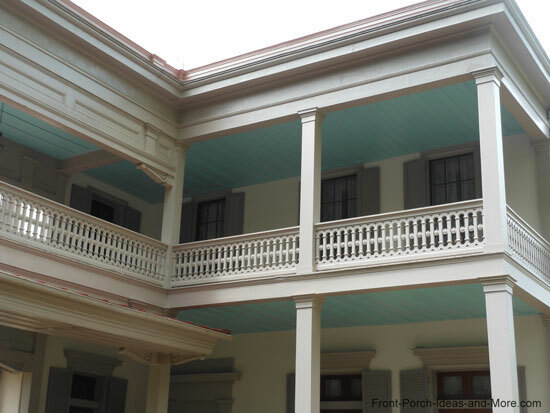 The double decker porch has blue porch ceilings.